If you are looking for a way to add a bit of excitement and thrill to your fishing trips you may want to try kayak fishing. It’s a great way to experience new waters and take on some rivers you may not be able to hit in your boat or from the shore. Kayaking sounds simple, but it’s more complicated than it seems. What a lot of people don’t realize is that kayaks originated with the Native Americans and indigenous people of Canada. Kayaks were able to dip down deeper into the water allowing the natives to hide better especially for hunting. There are many different kinds of kayaks, and not every one of them is cut out for fishing from so you want to make a good choice. Let’s take an in-depth look at kayak fishing and everything you need to know to get started. 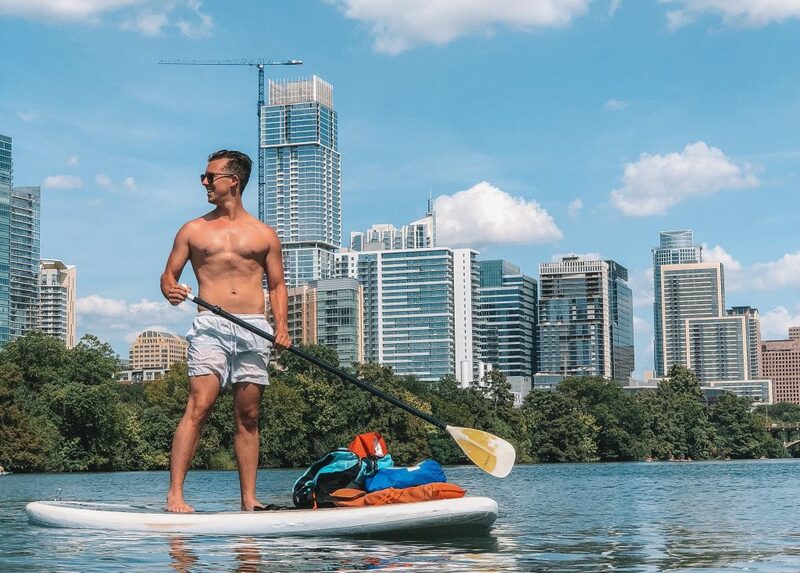 You’re most likely thinking, “I do completely fine with my aluminum boat, why would I need to bother with a kayak;” let’s talk about it. 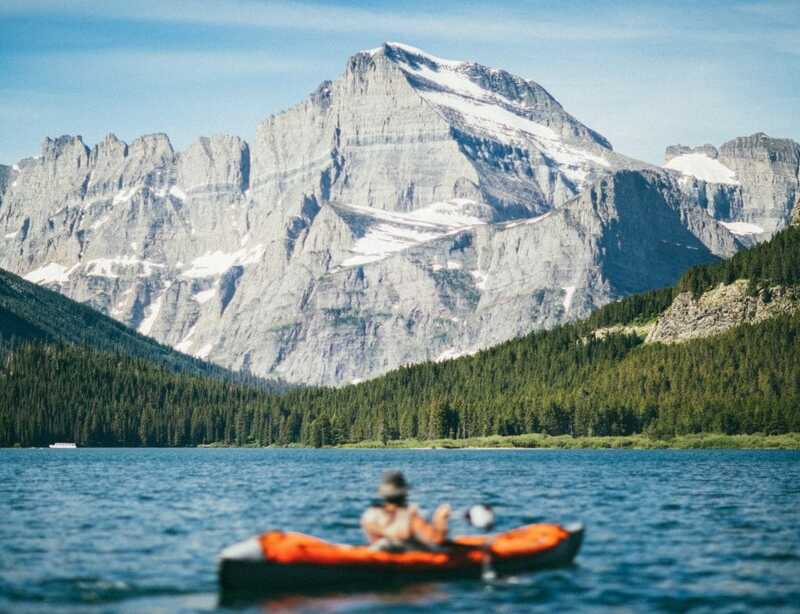 Although the costs of buying a kayak can skyrocket as you begin to scale up the style and functionality of your rig, you can pick up a decent kayak that will get the job done for a few hundred dollars. Getting on the water for less money allows you to invest more into your rods, tackle, and accessories. There is also the cost of fuel associated with operating a larger boat. I have attempted to paddle an aluminum boat by myself many times and while its possible it’s just not logical. Paddling a boat is strenuous, and it takes a lot of the fun out of the experience. Paddling a kayak is easy, and you save money on gas plus registration costs since the vessel is not motorized. If you’re launching a boat the right way, you need a ramp which limits your ability to fish certain locations unless you fish from the shoreline. You can unload a kayak from your vehicle and put it in the water just about anywhere. This allows you to take on smaller ponds, rivers, and backwater that deters other anglers. Even if the lake has boat access, once you are out on the water you’ll see how much more water you can cover with a kayak. 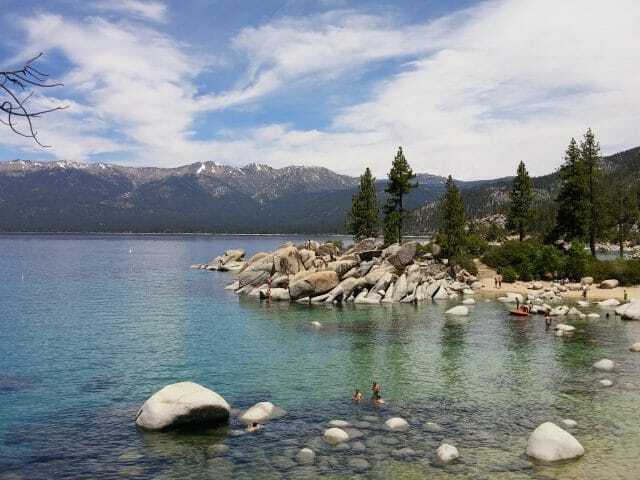 Motorboat users are often afraid to head into areas that are shallow, stumpy, or weedy because they’re scared of getting stuck or damaging the boat. 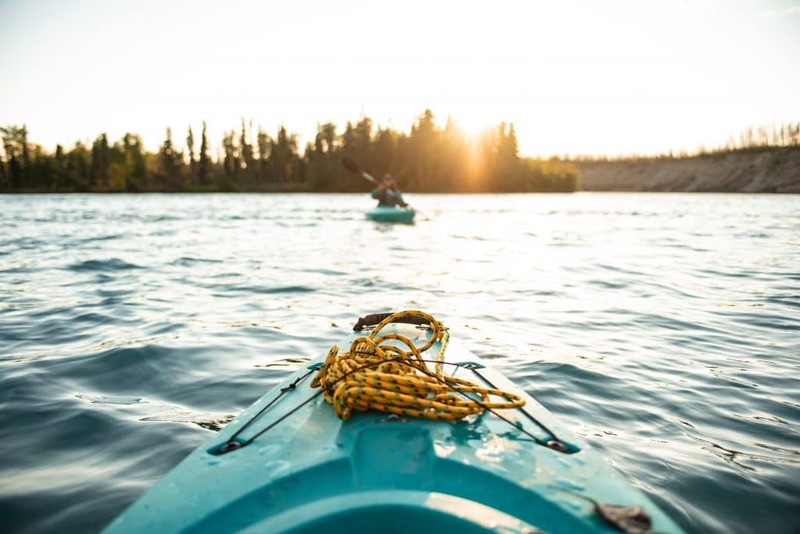 In a kayak, you’ll be able to get into the shallow area, and if you do get stuck, you don’t have to worry about needing your outboard motor to get you out. A few pushes with your paddles and you should be back in business. I remember fishing with my grandfather, and he would be furious if I were too loud. Here I am a seven-year-old kid, and I’m not allowed to talk at all because he said it would scare away the fish. Being quiet pays in this game and if you’re fishing small ponds and lakes and you’re the only one on the water without a motor, you have an advantage over the other guys. Of course, the first thing you’ll have to do is a buy one, and when you’re doing this, you should consider a few things. Establish a budget. 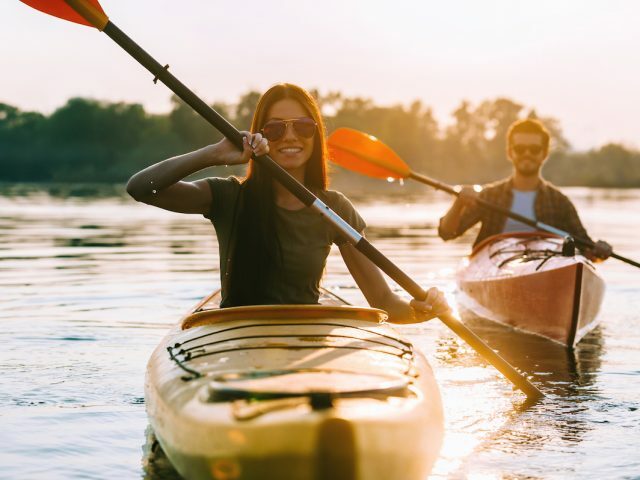 You get what you pay for, but you want to make sure to stretch your budget as far as you can afford to get the best kayak for your money. You’re better off getting the best option now instead of trying to upgrade down the road. Kayaks will last you many years on the water as long as you’re responsible with them. Read reviews. Never go into buying anything blindly and that applies to kayaks. You want to get one that everyone recommends for fishing because everybody doesn’t use them for the same purpose. You’re most likely looking to spend time on still water, but you still need one that is stable, roomy, and full of features. 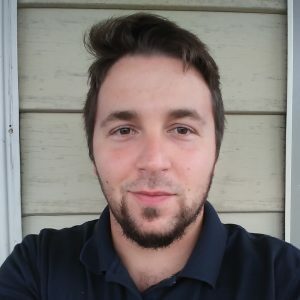 Look for live demos. A lot of local and regional dealers will offer demos or events where you can try them before you buy. This is the best way to get a feel for your new kayak and decide if it will be a good fit for you to fish with. Think about the features. You need rod holders, rails, seats, and a place to possibly mount a fish finder. Not every kayak gets built for this, so you want to be clear about your intentions and make sure to keep everything in the back of your mind. For kayak fishing, we love the Aquaglide Columbia Tandem Kayak. It provides two seats for you and a passenger plus plenty of storage room which makes this kayak ideal for anglers. The seats are also large and feature a backrest so you can spend plenty of time on the water. If you’ve never purchased a kayak before, you might be unsure of what it should have if your kayak fishing. Rod Holders: Do not overlook this and think that you don’t need them. The traditional fishing strategy says you don’t need rod holders because that’s lazy but think about this; you need to paddle the boat and fish at the same time and I don’t think you can do that. With rod holders, it frees up your hands so you can paddle while your line is already cast out. Some kayaks come with rod holders built right in, and others have a designated area to install one when you buy it separately. Storage: A person fishing in a kayak will need a lot more space than someone who is sightseeing. You want to make sure you have ample storage for everything, so take out all of your equipment and lay it out on the table or floor and take a picture of it. 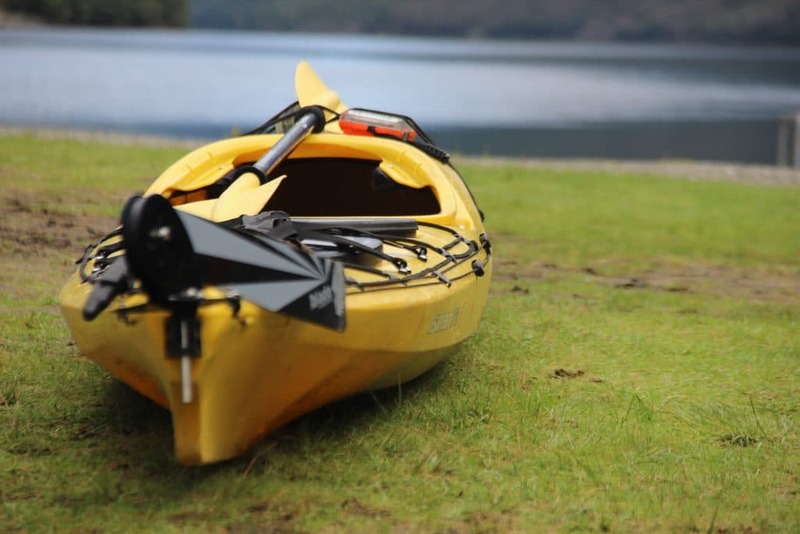 When you are shopping for a kayak, refer back to that picture and make sure you’ll be able to store everything in the vessel when it comes time to hit the water. Paddle Leash: Something you may not even know existed if you don’t kayak often are leashes for your paddles. These are useful if you do roll over, you may lose your rods, tackle, and everything else but you do not want to lose your paddles. They’ll keep the paddles attached to the kayak so you won’t have to add “stranded on the water,” to your list of the day’s activities. Maybe you are not an experienced angler, and you’re looking to try it out for the first time in your kayak. You may want to know more about what type of fishing equipment you’ll need when you get out on the water. Here are some common essentials you’ll want to have with you. Fishing Rods: Of course you need fishing rods, but I decided it was worth mentioning because it is a part of the game. Make sure you have the right rod for you and test it out ahead of time. A few casts in your yard will give you a feel for the rod and make sure everything is good to go so you are not out on the lake without your most important tool. Safety gear: You never want to hit the water without the proper safety equipment. Life preservers, flashlight, and communication devices are all necessary like they would be for standard kayaking. Tacklebox: You need a good place to store all of your lures, hooks, and line, so you need a tackle box to keep everything safe and organized. 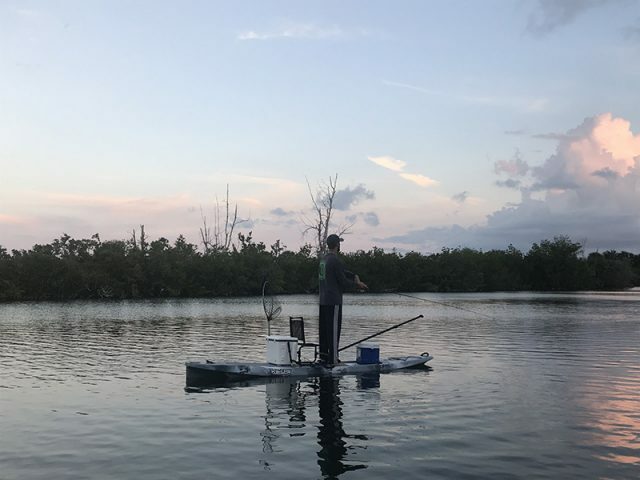 For kayak anglers, floating boxes have become increasingly popular so you can take full advantage of the space nature naturally offers to us. You won’t have a whole lot of room to move around in the kayak so it’s important to consider only bringing the lures you think you may actually use that day. Anchor: An often overlooked piece of equipment you want to have is an anchor to keep the kayak in one place when you do not want to move around. The whole time you are out on the water, you may not want to allow the current to move you on its own so an anchor will keep you glued to a hotspot for as long as you want. 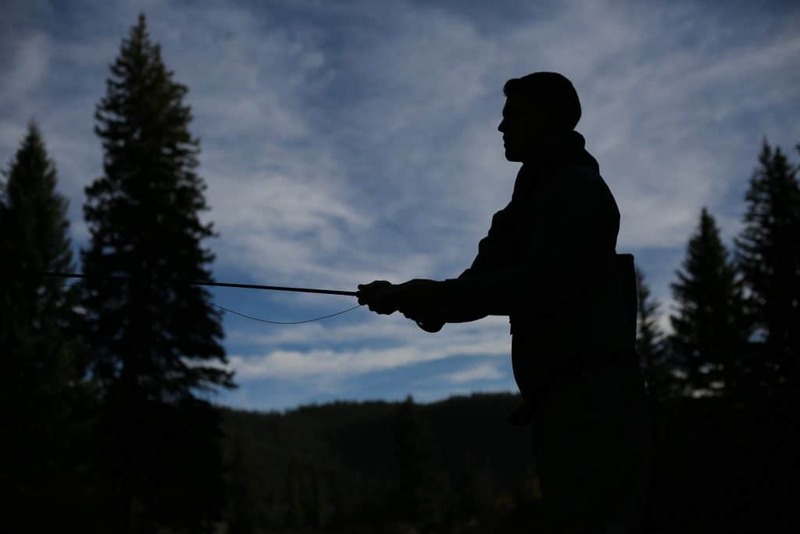 Make sure you take into consideration where you will be fishing, a five-pound anchor might be fine on still water, but if you are taking on a fast moving river, you will need a little more weight. 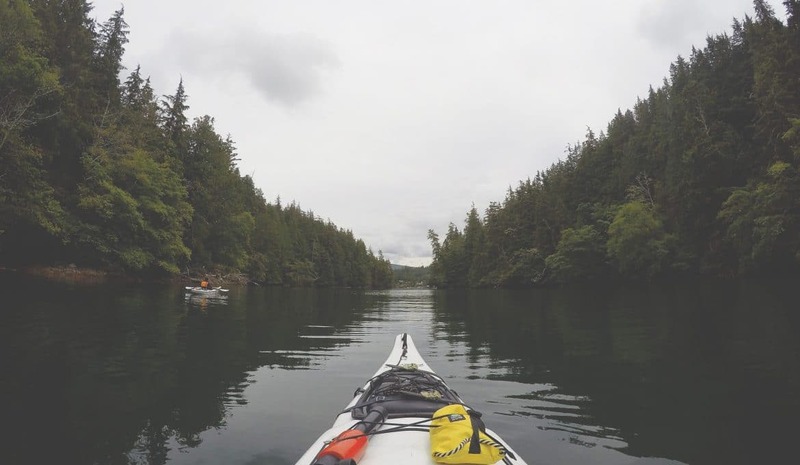 Here are a few things to consider when you are getting out there for the first time on a kayak. The fishing experience is different so there are some things you may not have thought about. Pay attention to the weather because it will mean more now to you than ever. High winds or dense fog will not only lower your visibility, but they will increase the chances of you having a rollover. Check with local reports on what types of fish are biting that day and find out the best lures to use. The smartest anglers are the ones that fish smart and going in blind is never the best option. Bring plenty of sunscreen and bug spray with you in your kayak. Doing this ensures you enjoy yourself and stay healthy during your trip. 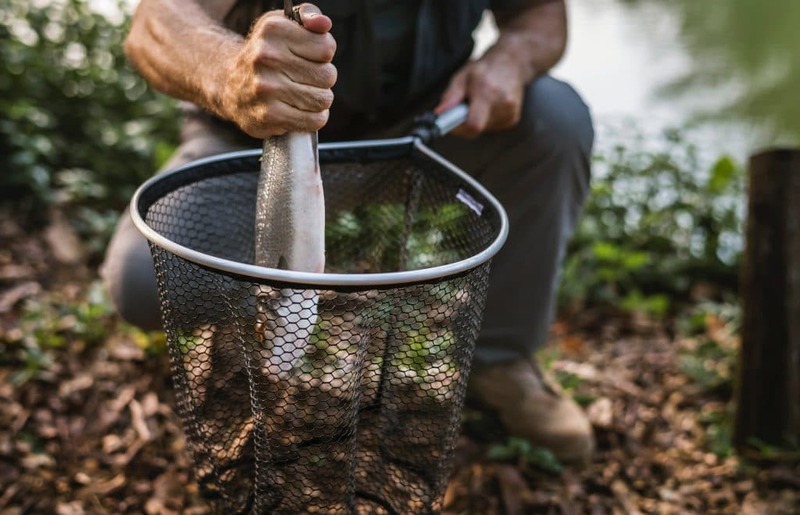 Don’t forget to bring fish handling gear like gloves, line cutters, and nets. When you’re fishing in a kayak, you may not be able to reach over the side of the boat and battle with the fish, so it’s essential to have a net to scoop them up with. Gloves are not necessary, but it helps keep your hands clean, and if you’re fishing with children they may not be comfortable handling the fish themselves, they also protect you from sharp fins. Have you fished from a kayak before? Share your favorite tips below!